Open shelving is a big request in kitchens. Credit: NKBA Member Cassandra Nordell- MacLean, WILLIAM STANDEN CO. Sarnia, ON Photo: William Standen Co.
Live edges give a new twist to wood countertops. Credit: NKBA Member Cassandra Nordell- MacLean, WILLIAM STANDEN CO. Sarnia, ON Photo: William Standen Co.
HACKETTSTOWN, N.J. - What are the hot trends for kitchen and bath cabinetry and countertops in 2016? According to a recent survey of design professionals, the overwhelming cabinet preference is for transitional style, with gray and neutrals the preferred color pallet, while granite continues to rule in the countertop market. These trends and more were revealed in the 2016 Design Trends Survey from the National Kitchen & Bath Association. In the kitchen area, the most popular design styles continue to be transitional, followed by traditional and then contemporary. The NKBA study also reveals two emerging styles: industrial and farmhouse. A panel session on Accessorizing Closets is planned for the 2016 Closets Conference, March 22 in Pasadena, California. With regards to color palettes, homeowners prefer neutral colors, but are not adverse to mixing two or more colors, as reported by 60 percent of the survey respondents. According to the NKBA's survey, the two-tone trend carries over onto the cabinetry, where 42 percent of designers specified mixed color cabinets. Countertops are not excluded either from the mixing of palettes, with surveyed designers indicating they've used different countertop material for the island versus the perimeter of the counter space. “Our Design Trends Survey serves as the industry forecast when it comes to kitchen and bath design trends, giving us a comprehensive look at what to expect in the coming year,” said Bill Darcy, NKBA CEO. 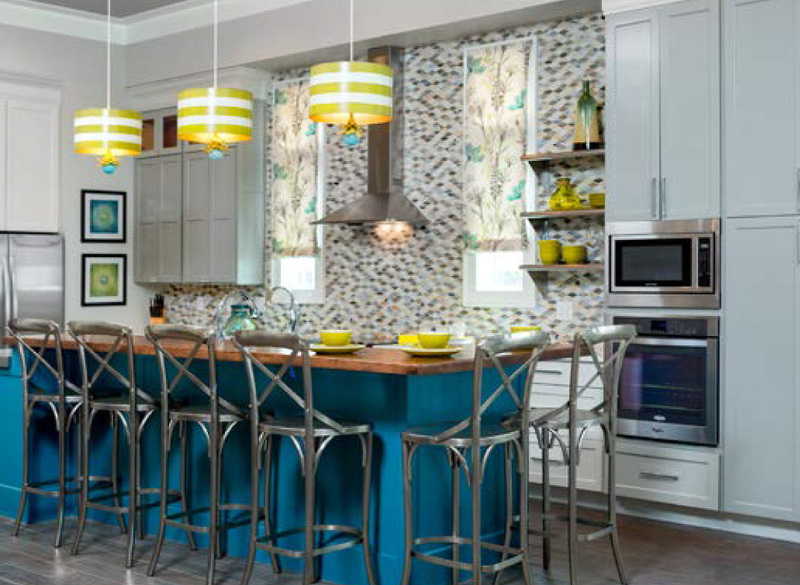 At KBIS, some of the nation's top kitchen and bath designers shared their insight on the latest color and style trends, as revealed in the NKBA's 2016 Design Trends Survey. Also click here to view more reports from the 2016 Kitchen & Bath Industry Show and the International Builders Show. 1. Transitional style, with contemporary emerging. 3. 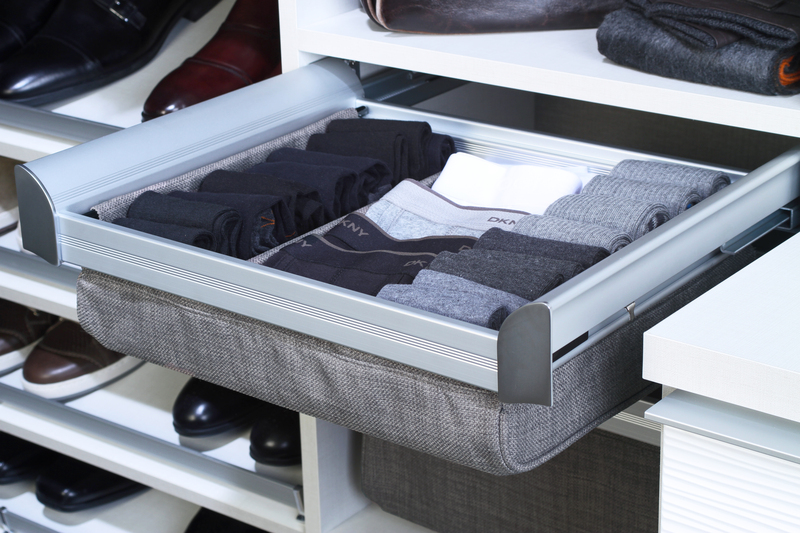 Pull-outs, tilt-outs and tilt-ins for storage. 5. Quartz and granite countertops. 7. Built-in coffee stations and wet bars. 10. Docking and charging stations. 1. Clean, modern, transitional designs. 4. Open shelving, floating vanities and wall-hung toilets. 8. Shower amenities like hand showers and shower lighting. 9. Polished chrome faucet finish. More than 450 designers throughout the United States participated in the NKBA's 2016 Design Trends study, which was conducted online in late 2015. For more information, visit NKBA.org.